A mile-by-mile log of the Grand Canyon river trip from Lees Ferry to Lake Mead. Rapids are rated, attractions noted, historic facts and folklore. Many photos and illustrations. The latest edition with full color photographs and illustrations. 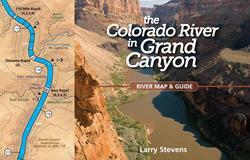 The Colorado River in Grand Canyon: A River Runner's Map and Guide to its Natural and Human History, by Larry Stevens, is designed for running the river, for scribbling notes about rapids, camps or unexpected sightings and events, and to help inform or remind us of the vast temporal and spatial scope of grand canyon. Our knowledge of Grand Canyon is ever-expanding, and this guidebook is a work in progress. running to produce this unique, compact, and educational map. 2nd edition 2008, 22 x 30 inch poster, folds to 4.5 x 11 inches, water-proof, tearproof. An extremely comprehensive field guide that includes birds, wildflowers, cacti, mammals, reptiles and amphibians, butterflies, trees and shrubs, ferns, rocks, and fish. Also includes information on fossils, human artifacts, canyon history, climate, trails and visitor facilities. Illustrated with color photographs. A very good handbook that addresses the history, geology, ecology, plants, wildlife and geography of the Grand Canyon region in an interesting and understandable way. Color plates depict vegetation, fish, reptiles, amphibians, birds, and mammals found in the canyon. For novice and experienced hikers alike, this guide offers a complete compendium of Canyon lore and practical advice for navigating the challenging depths of the majestic Grand Canyon. 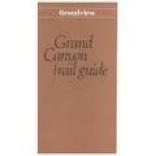 Includes detailed guides and route maps for hiking 30 Grand Canyon trails, rated in difficulty. 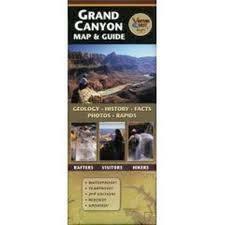 This guidebook presents an overview of the major trails in the Grand Canyon. 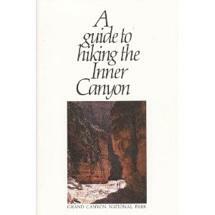 It provides basic information needed for planning an inner canyon hike or a walk along the rim. A detailed, interpretive hiking guide to the trails of the South Rim, woven with a lively narrative and adventures of real hikers. Sharon�s personal adventure stories allow the reader to experience the inner canyon. 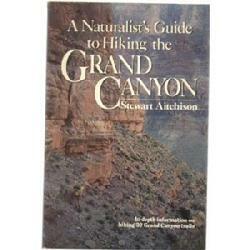 A nifty guidebook written by one of the foremost Grand Canyon hikers. Contains descriptions and maps of major trails and routes in the Grand Canyon, including the safety, and minimum hiking impact. Grand Canyon natural History Assoc. The Kaibab Trail is the only cross-canyon route between the North and South Rims of the Grand Canyon. This trail guide covers the route between the river and the North Rim. Grand Canyon Natural History Assoc. Covers the trail on the south side of the Colorado River from Yaki Point on the South Rim to Phantom Ranch. Rather than a mile-by-mile description, this guide book is composed of three essays on the outstanding elements of rock, desert and river reflected at major stops along the trail. Pocket-sized, 15 pages, with illustrations. by James Babbit & Scott Thybony, Grand Canyon Nat. Hist. Assoc. Since prehistoric times, the Bass trails have been the main routes into the central region of the Grand Canyon. This trail guide covers the route between the river and the North Rim. This trail booklet contains a lot of interesting historical information about copper mining in the Grand Canyon. The trail is located in the east section of the park and goes from Grandview Point to Horseshoe Mesa and then on down to the Colorado River. The trail was used to access mining claims around the turn of the century. Similar in style and format to Bright Angel and Kaibab Trail pamphlets. by Scott Thybony, Grand Canyon Natural History Assoc. The Hermit Trail is located in the West Rim area of the park. It is not a regularly maintained trail. This guide book has two sections. The first is a trail log providing straightforward information on the route and points of interest. The second concerns the natural and cultural history of Hermit Canyon. This pocket-sized trail guide provides information about the trails that lead to the village of Supai located in the bottom of the Grand Canyon of Havasu Creek. There is a lot of useful and interesting information about the Havasupai people and their way of life. Anyone hiking from the South Rim down to the Colorado River on the Bright Angel Trail, will find this pamphlet extremely helpful. It includes a trail map as well as mile by mile description of the trail and the attractions along the way. Nicely illustrated with photos and drawings. Pocket size to carry easily. River to Rim tells you how the names of the Grand Canyon came to be: the record of who named what and when, quotations from explorers, tourists and river runners and often the bizarre, funny, or moving events that gave rise to the names on the maps today. It tells the story behind the scenery for rapids, temples, and points along 300 miles of the Colorado River in Grand Canyon National Park on a mile-by- mile sequence. 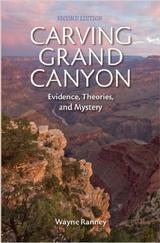 Carving Grand Canyon provides a synopsis of the intriguing ideas and innovative theories that geologists have developed over time. This story of a fascinating landscape is told in an engaging style that nonscientists will find inviting. The story�s end, however, remains a mystery yet to be solved. The Colorado Plateau is one of the world's great showplaces of sedimentary, igneous, and metamorphic rock. The plateau's rocky landscapes are home to the greatest concentration of national parks and monuments in the world. Ancient Landscapes of the Colorado Plateau highlights the plateau's magnificent present through unique views of its fascinating past. It is a groundbreaking book featuring the geology of the American Southwest in a way you've never seen it before. This landmark book features: more than 70 state-of-the-art paleogeographic maps of the region and of the world, developed over many years of geologic research detailed yet accessible text that covers the geology of the plateau in a way nongeologists can appreciate more than 100 full-color photographs, diagrams, and illustrations, a detailed guide of where to go to see the spectacular rocks of the region 176 pages; paperback; 9" x 12"
This overview of Grand Canyon geology is perfect for the first-time visitor or the seasoned Grand Canyon traveler. Chapters cover the basic priciples of geology, the history of geological exploration at Grand Canyon, the canyon's structural features, and the Colorado River. Includes over 70 photos and illustrations, an index, and glossary. 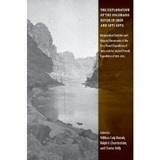 Complete reprint of �Canyons of the Colorado� 1895 edition, with supplementary map. This was the first published account in book format of Powell�s 1869 discovery journey down the Green and Colorado Rivers. 150 illustrations and photographs. Dover Publications. Dellenbaugh (1853-1935) enjoyed a career as an artist, writer and explorer that began in 1871 when he joined Powell�s second Grand Canyon expedition at age seventeen. This book, first published in 1908, is a detailed account of the venture. This edition includes photos and illustrations from the original book. A booklet published in 1969 commemorating the 100th anniversary of Major J.W. Powell�s first trip (1869) down the Green and Colorado Rivers of the West. Historian W.L. Rusho uses engravings from the original articles about the expedition to illustrate his text. A very readable account about the men, the boats, and the difficulties of that historical event. Western Americana collector item. Diary of Almon Harris Thompson, chief assistant, geographer, and topographer for the 1869 Powell exploration of the Colorado River. Journals of three men of the second Powell expedition, providing diverse points of views about the second expedition, both in terms of its human components and its scientific labors. This volume contains the journals of Major John Wesley Powell, George Young Bradley, Walter Henry Powell, and J. C. Sumner. Also included are various letters and notes by the members of the first expedition, and the journal of Francis Marion Bishop from the second expedition. All of the writings offer vivid descriptions of both adventure and of able and energetic scientific field work, and are of enduring interest and importance. 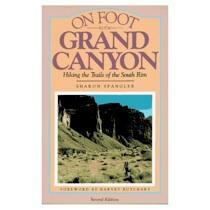 An easy reading, interesting depiction of man�s history in the Grand Canyon. Early river runners, miners, settlers, fortune hunters, etc. 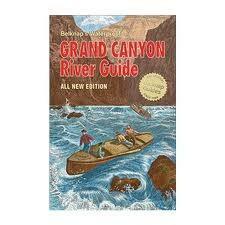 A nice companion and supplement to Belknap�s Grand Canyon River Guide. by Major J. W. Powell, with illustrations by Thomas Moran and others. Editor, Wiliam R. Jones, reproduced in 1981. This is a reprint of an article that was prepared by Powell as a popular presentation of his river-running discoveries. It was first printed in 1875 in Scribner�s Monthly, a national journal of that early day. The original illustrations are included. Western Americana collector item. 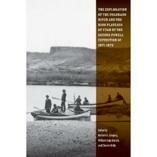 The history of the exploration of the Colorado Plateau, including first explorers, Spanish exploration, and the scientific explorations of Powell, Ives, Kit Carson, and many others. Interesting reading. Nice photographs and illustrations in full color. A collection of tales of high adventure, memorable incidents, and humorous anecdotes. Ellsworth and Emery Kolb were famous turn-of-the-century photographers whose adventures at the Grand Canyon, and whose river journeys from Wyoming to the Gulf of Mexico are legendary. The book includes stories of their excursions and many early photographs. A look at the pioneer history of the Grand Canyon region, from its earliest residents to the creation of the national park at the end of the pioneer era (circa 1920). Included in this volume are nearly two hundred historic photographs, many never published before, and 12 custom maps of the region. A beautiful magazine-style book that includes sections on the geography, geology, wildlife, Indians, history, and physical environment of the Grand Canyon. Excellent photographs and illustrations, interesting bits of trivia, a very nice �all-around� publication about the Grand Canyon. Robert C. Euler and Frand Tikalsky, eds. Geology and biology, Indians and explorers, rafting and hiking - it�s all here in this one handy guide. Includes, maps, nice photos and diagrams, plus a bibliography for each subject covered. Visiting the Grand Canyon's North Rim is a unique experience. Just 10 miles across the abyss from the canyon's busy South Rim, the two settings are worlds apart. Fewer than 10 percent of park visitors find their way to the remote North Rim. Sublime beauty, rugged terrain, and quiet solitude await those who do. Those who visit the park with this book in hand take a personal guide. In these pages author Stewart Aitchison shares his knowledge of the plant and animal communities, geologic forces, and human history that set this place apart. And the stories don't stop at the park's boundary. They stretch across the broad Arizona Strip to provide insights into the vast scenery of this little known land.96 pages; softcover; 6" x 9"
Supplying vital water to more than 30 million Americans living in the arid West, the Colorado River is one of the most diverted, dammed, and heavily litigated rivers in the world. In full-color photo essay format, The Colorado River: Flowing Through Conflict, follows the river�s epic 1,450- mile journey from its headwaters high in the Colorado Rockies to its dried-up delta touching the Sea of Cortez. With striking photography and authoritative prose, Peter McBride and Jonathan Waterman illuminate the historical, geographical, and environmental significance of this life-giving river. A collection of stunning black and white photographs of the backcountry.The artist�s rendition of these canyon profiles, his patient searching for the exact combination of stone, water, light and form are all unique reflections of Canyon time and space. 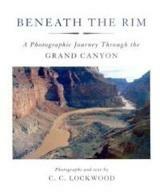 A �coffee table book� with brilliant photographs that enable the reader to share Lockwood�s adventures in the Grand Canyon, including riding a mule to Phantom Ranch, trout fishing in Nankoweap Creek, hiking in Matkatamiba Canyon, running the rapids of the Colorado River, and more. A favorite of our guides (especially those who are featured in some of the photographs). 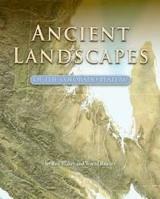 Over the past 25 years the authors have worked in cooperation with the Kaibab National Forest, Grand Canyon National Park, Bureau of Land Management/Arizona Strip, and the Grand Canyon-Parashant National Monument to analyze the hard data and to form a comprehensive overview of the 5,000 years of Native American art painted and engraved on the walls and boulders within the greater Grand Canyon region…. This visually stunning book opens a window to the past within the majestic Grand Canyon region rarely seen by the millions of visitors who visit this area annually. It is a feast to both the serious rock art researcher and to the general public who may not be aware of the enticing and elaborately rich rock art found in some of the more remote areas within this spectacular landscape. Grand Canyon National Park began the publication of Nature Notes, a monthly collection of reports and reflections on the natural and human history of the park. For ten years, early park naturalists and visiting scientists recorded their insights into practically everything around them � from rocks to roses, raccoons to river dynamics � and published their �notes� for the visiting public. This anthology presents Nature Notes to the public again for the first time in decades. A splendid selection of favorites are featured in this lyrical reprise. This book includes some of the all-time favorite Earth Notes essays in a memorable portrait of a special place. Whether you are a visitor or a resident, you will find this book an inspiring look at how the human culture of the Colorado Plateau rises to the level of the extraordinary scenery. Not specific to the Grand Canyon, but covers the entire Colorado Plateau, where an extraordinary record of the history of life is preserved in the rock strata. A story of swamps and oceans, great slow- moving rivers, windblown sand dunes, tidal flats and tropical seas comes to life by learning to read fossil remains. Chapters explore deep time, diversification, dinosaurs, and fossil hunters. Magazine format with color photos and illustrations. From antlions, bats and desert varnish to sagebrush, salt cedar and yucca, you�ll find interesting facts, descriptions, and explanations pertaining to the remarkable plants, animals, and natural features found in the Grand Canyon and the greater Southwest. Easy to use alphabetical format. Fun and educational for the whole family! This superb anthology brings together some of the most powerful and compelling writing about the Grand Canyon--stories, essays, and poems written across five centuries by people inhabiting, surviving, and attempting to understand what one explorer called the "Great Unknown." The Grand Canyon Reader includes traditional stories from native tribes, reports by explorers, journals by early tourists, and contemporary essays and stories by such beloved writers as John McPhee, Ann Zwinger, Edward Abbey, Terry Tempest Williams, Barry Lopez, Linda Hogan, and Craig Childs. Lively tales written by unschooled river runners, unabashedly popular fiction, and memoirs stand alongside finely crafted literary works to represent full range of human experience in this wild, daunting, and inspiring landscape. Amil Quayle was born near the Henry�s Fork of the Snake River in St. Anthony, Idaho, in 1938. In 1961 he ran his first river trip and has been hooked ever since. He was a full-time guide, mostly in the Grand Canyon, for many years and earned a B.S. degree in sociology from the University of Utah. Amil sold his river business and ranched in Nebraska for seven years. He then received a M.A. and a Ph.D. in English from the University of Nebraska and taught English for Utah State University and Idaho State University. But his heart is on the river, and he has been privileged to guide on many trips throughout his adventurous life. Soft cover, 112 pages. Amil Quayle, author of Grand Canyon and Other SelectedPoems, is an old boatman who has been running the river since the 1960�s. This tale is from his early days as a guide in the Grand Canyon, a personal narrative of an adventure that seems implausible, which was made possible by the ever- changing Colorado River and the spirit of the people with whom he shared the journey. Author and boatman Brad Dimock searched the country for the true story of Glen and Bessie Hyde. Glen and Bessie began their honeymoon trip down the Green and Colorado Rivers on October 20, 1928. They vanished in the canyon without a trace. Brad Dimock followed each story and obscure lead to its end, evening going to the extreme of recreating the Hydes� archaic craft for a harrowing trip through the Grand Canyon with his own bride. Sunk Without A Sound is the riveting tale of the search for Glen and Bessie Hyde. Buzz Holmstrom was an unknown service station attendant from Coquille, Oregon, who made headlines in 1937 as he navigated over 1,000 miles of the Green and Colorado Rivers, alone, in a boat he built and designed by himself. Nine years and thousands of river miles later, Holmstrom�s body was found beside the Grand Ronde River in Oregon. At 37, his story had ended in even greater mystery than it began. Now, fifty years later, three boatmen have brought to light a story about rivers and wooden boats, heroes, humility, unbearable beauty, solitude, and death. Signed copies available. Bert Loper was born in 1869 the very day that Major John Wesley Powell discovered the confluence of the San Juan and the Colorado Rivers. Loper spent much of his life devoted to those two streams. But it was never easy. Orphaned and abused, Loper worked most of his life at the very bottom, the nameless grunt in hard rock mines, the sore-backed shoveler on a placer bar, the subsistence rancher on a lonely gravel delta in Glen Canyon. Whatever Loper got, he got the very hard way. 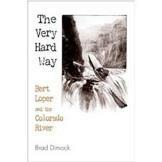 But on the muddy whitewater streams of the Southwest, Loper found a joy, a thrill, and a peace. By the time he died at his oars in a Grand Canyon rapid at eighty, he had covered more river, run more boats, and known more rivermen than anyone. Two weeks before he vanished in the Colorado, the very first motorboat had run Grand Canyon � bookending Loper�s incredible career. Buzz Holmstrom amazed the country in 1937 when he built his small wooden boat and rowed, solo, down the thousand rapid-choked miles of the Green and Colorado Rivers. Yet he soon returned tot the obscurity of Coquille, Oregon, and faded from the memories of all but a few whitewater boatmen. 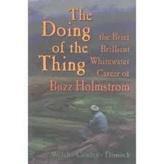 In 1998 Wince Welch, Cort Conley, and Brad Dimock pubslihed their award-winning biography of Holmstrom, The Doing of the Thing. Interest in Holmstrom soared far beyond the small world of whitewater, The biography is well told, but it is Holmstrom�s own writing, sensitive and perceptive, witty yet humble, that sets Holstrom apart from his peers and gives him a place in our hearts. Now Brad Dimock has faithfully transcribed Holmstrom�s own journals and letters of Holmstrom�s journeys down the Salmon and Snake Rivers in 1936, and the Green and Colorado in �37 and �38. The accounts of Holmstrom�s three companion sin 1938 round out the tale. For those who already know of Holmstrom and want more, and for those who have yet to meet him, Every Rapid Speaks Plainly provides a fuller and deeper look into one of America�s premier boatmen. In 1911, The Kolb brothers, Emery and Ellsworth, young photographers living on the South Rim of Grand Canyon, conceived a preposterous expedition: although neither of them knew much about whitewater, they had two wooden rowboats built, and proposed to row them the entire eleven hundred miles of the Green and Colorado Rivers. The trip was not solely for thrills. They planned to make not just still and stereo photographs, but moving pictures as well. In early September they launched from Green River, Wyoming. For the next four and a half months, the brothers rowed, careened, roped, dragged, and carried their boats through and around the rapids, often finding themselves swimming in the freezing river, patching and repatching their boats, and salvaging what film and equipment they could from their flooded hatches. Their first assistant left in tears after the first week, but was replaced on the last leg of the journey by stalwart Bert Lauzon, a miner, cowboy, and roustabout. Against all odds, the three men emerged from Grand Canyon in January, 1912, with photographs and movies they would show and sell for the next sixty years. Here for the first time are their on-the-spot accounts, transcribed from the journals they penciled late at night along the shore. Theirs is a tale of phenomenal courage, terrific luck, and dogged perseverance. And in spite of unending hardship, the brothers had nearly as much fun doing it back then, as you will have following along nearly a century later. Tracing the seasons of the Grand Canyon through a full year, Zwinger paints a dynamic portrait of an immense, ever-changing ecosystem. Zwinger is one of the best known naturalists currently writing about the American Southwest. Boatmen always have a story to tell. You�ll hear many of them on your river trip. In the book, you can read many more. 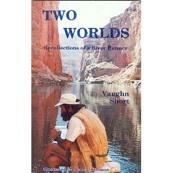 It�s a fun and enjoyable anthology by people who love the Grand Canyon up close and personal. In 1963, the Colorado River was dammed at Glen Canyon, creating Lake Powell while flooding a great natural wonder. Like thousands of environmentalists, Lee would like to see Lake Powell drained and Glen Canyon restored. She writes poetically and soulfully of her years as a river runner in the 1950s and of the beauty, solitude, and excitement of a wild place visited by very few. As a folksinger and Hollywood performer in the late 1950s and early 1960s, she protested the damming of the river to no avail. In response to a letter she wrote, Sen. Barry Goldwater observed that Arizona's need for power and water required the dam and praised the reservoir's potential for recreation and beauty. That being the predominant mindset throughout Western expansion, it now seems surprising that there is support, in the form of the Sierra Club and Glen Canyon Institute, for the dismantling of some dams and water projects and that the people involved in the original works now think they may have been wrong. In this classic account of the great Red River of the West, first published in 1946, Frank Waters attempts to perceive the nature and presence of a spirit of place in this immense region and its effects upon man. From the high country to the delta, from the conquistadors to the modern inheritors of the Colorado, Waters traces the expression of the land in its history and people. By the frothing, wild water deep in the Grand Canyon, to the pine covered peaks of old Apache Land and with a touch of Alaska thrown in come these tales told in both poetry and prose. Herein lies sorrow and laughter, truth and fantasy, adventure and misadventure all written in that same quaint, homey style used by the author when telling tales around the campfire. 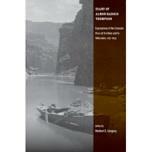 The history of River Running in the Grand Canyon on DVD. �River Runners� traces the evolution of an adventure that is unique to the American West. From its origins in Native American myths to the development of a major recreational industry that it is today, it is the story of people testing their limits in one of the most spectacular places on Earth. Produced by Don Briggs, a photographer, filmmaker, and river guide who has spent more than two decades on the Colorado River.